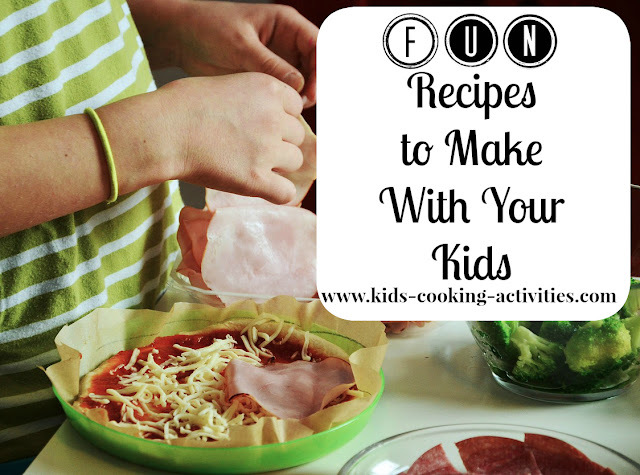 Cooking with your kids is one of those great things you can do to spend some quality time together. During this process, you will teach your kids basics of cooking, help them increase confidence, show your love while having some fun together. Your cooking lessons should not be rigid but instead filled with creativity and laughter. Do not expect perfect results and if something goes completely wrong explain that sometimes accidents happen. 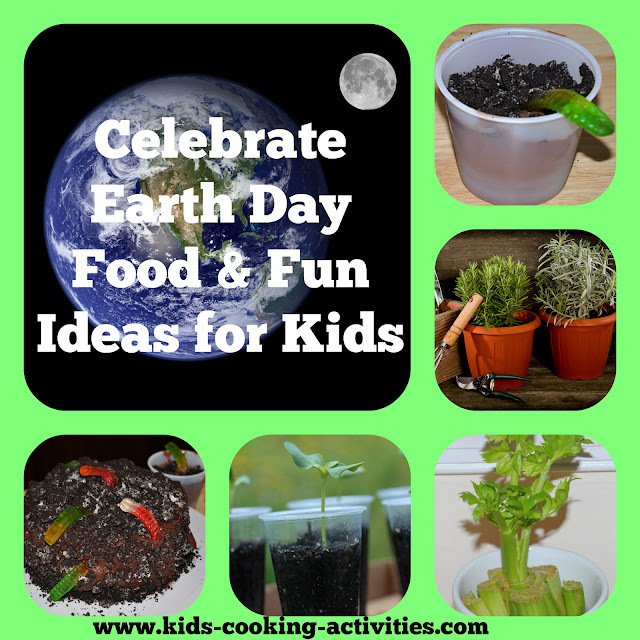 When cooking with your kids the most important thing is to let them get creative and do not hinder with traditional culinary rules. Maybe during this process, you will too learn something new. 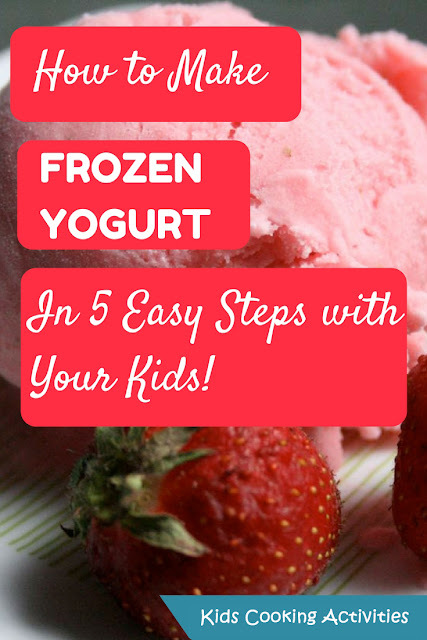 Here are some very easy, but delicious meals you can prepare with your kids. 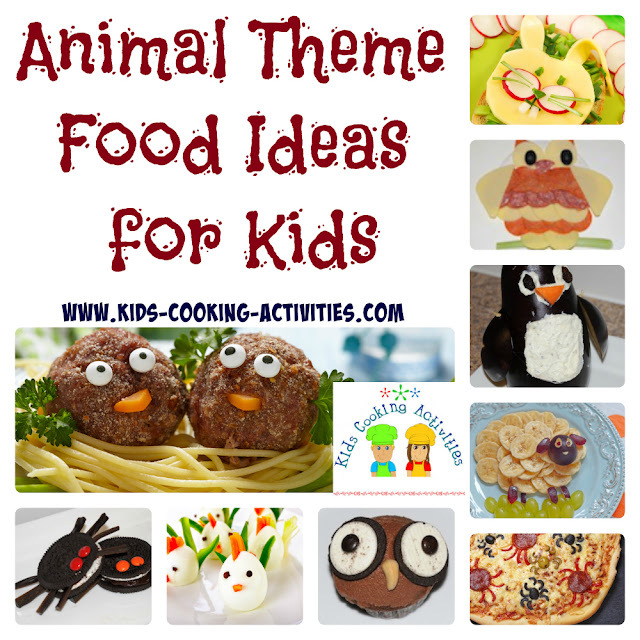 Each recipe will allow your kid to express creativity and show certain skills. This pizza is not made with classic pizza dough, but instead already baked crusty Italian rolls. Other substitutes for the rolls, could be bagels or bread slices. During this cooking adventure. 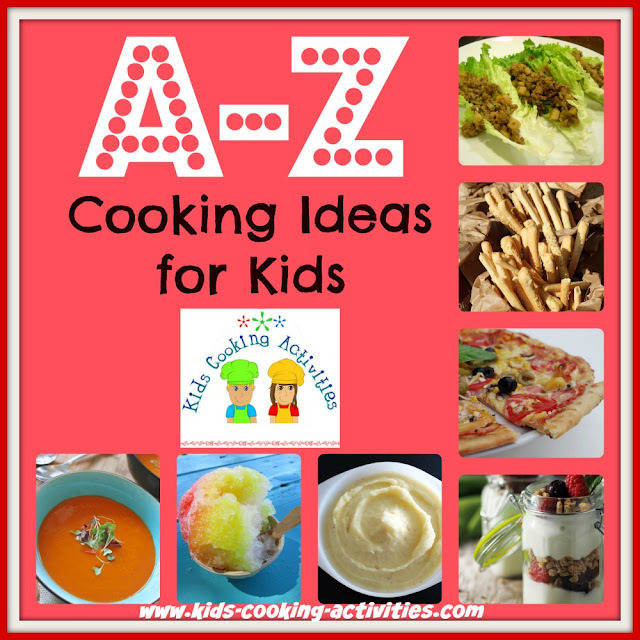 you will be able to teach your child how to prepare a simple yet delicious pizza. You will also have the chance to learn what your kid loves. This is a great chance to talk, bond, and learn a lot about each other. Toppings by choice: pepperoni slices, olives, caramelized onion, pineapple, tomatoes etc. Cut the Italian rolls in half by length and place on a baking sheet. 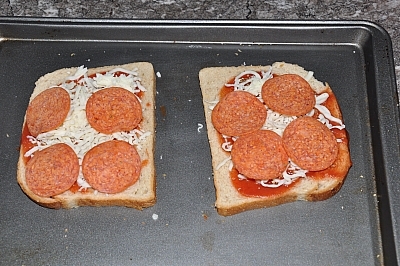 Allow your kid to spread marinara sauce over the halved rolls. Next, begin topping the rolls with your favorite toppings. Bake the pizzas for 10 minutes. Increase heat to 425F and bake for 2 minutes more. 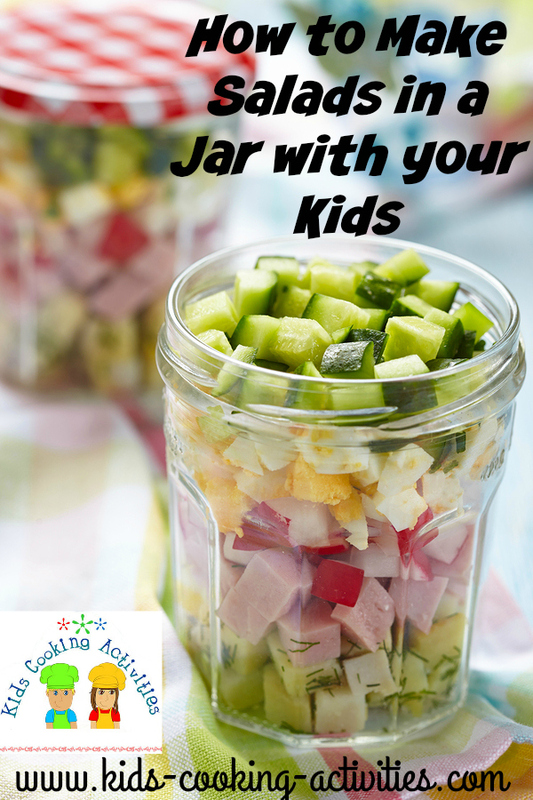 We all know how kids can be picky when eating, especially when you serve them veggies. Very often we end up by begging them to eat their veggies. 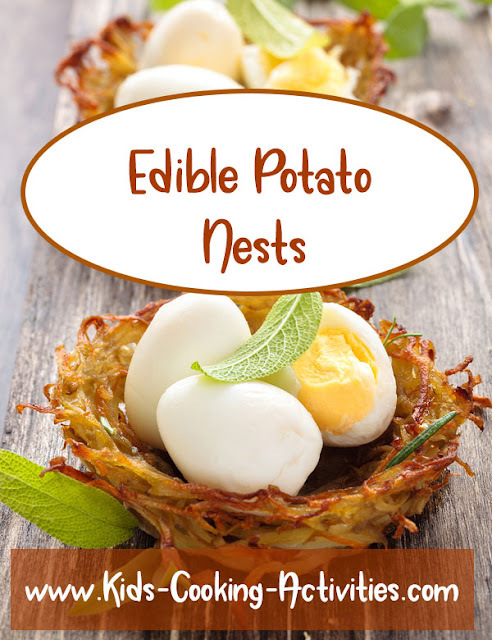 Would you believe that there is a more simple way to talk the kids into eating vegetables? 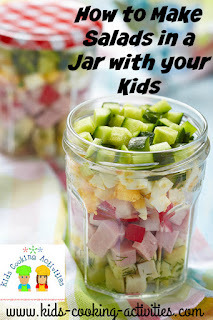 Instead of serving them already prepared salad, invite your kids into the kitchen and prepare one together. During this process, kids will have a chance to choose favorite ingredients and create their own dressing. You can explain the benefits of each vegetable or fruit you are choosing for the salad. This way the kids will learn the benefits of consuming fresh vegetables and fruits and adopt healthy habits. Place the peas, water, mint, lemon juice, salt and pepper in food blender; process until smooth and divide evenly between two standard Mason jars. Top the peas dressing with shredded turkey, chickpeas, cucumber, celery, dry cherries, apples, tomatoes, and chives, dividing all between the jars. Shake well or stir before serving. Sweets are something kids enjoy the most. Making sweets does not have to take too much of your time with these sweet quesadillas. This recipe allows you to play with ingredients, and with an easy swap of ingredients, you can prepare different combos. Again, you need to let your kid be creative, and who knows, maybe they will create something new and exciting. Place the tortilla in front of you and spread over the peanut butter. Place the banana slices at one-half of the tortilla and sprinkle with chocolate chips. Fold in half and cook quesadilla in a non-stick skillet until crispy on both sides. *Instead banana you can use: sliced apricot, strawberries, or raspberries.